Seated down my first time round’ here with my sister, she was first to tell me of their $4.25 Roast Pork with Rice. Roast Pork…..?!!!! I haven’t had such goodness in well over half a year, and I was surprised that my sister was going to let me choose such a fatty meal. We entered House of Gourmet, and I already loved the place. 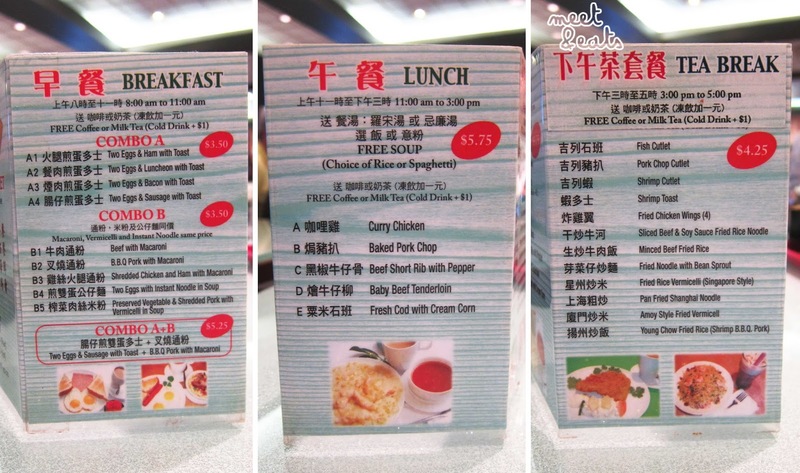 I loved how there were three boards in English along one side of the wall showing the specials and the other side having some menu options in Chinese up. The second thing that stood out to me, was their sparkly tables! My favourite! I haven’t seen anything like it. 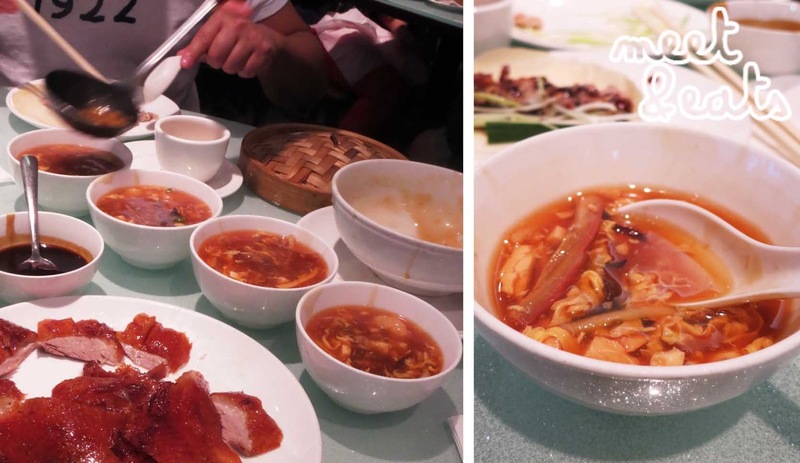 We ordered, and my sister had Congee and Ginger since she was sick, and I got my delicious bowl of Roast Pork and Rice, and we ordered Rice Noodle Rolls for sides. There is no place I’ve ever walked into in Sydney like this. Another plus, they also have a pretty damn good name. And for the second time around here, was this glorious evening of our spontaneous (or maybe not) dinner out – I was expecting a Cobb Salad for dinner :p! Also, what made me want to come back the first time around, was this three sided laminated informative goodness sitting at the end of the table. I love love love little restaurant ‘specials’ at certain times of the day! I was super doooper keen on trying the ‘Tea Break’, and adding $1 for one of their extensive list of cold drinks! And, if you know me, you’d know that I love Asian sweets and I HAVE to try a new one each time!!!! Excited to drop by for Tea Break once my Sister is out of town ☺. Admiring the wonderful pamphlet. You have sold me, House of Gourmet. 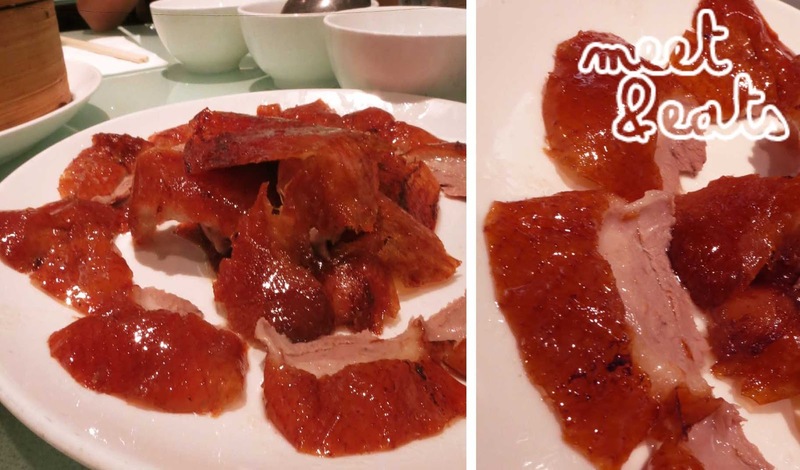 Along with that, you have the choice to grab the Peking Duck with two kinds ($24.99), three kinds ($51.99), four kinds ($60.99), five kinds ($69.99) or 6 kinds ($78.99) of dishes from a specific list! 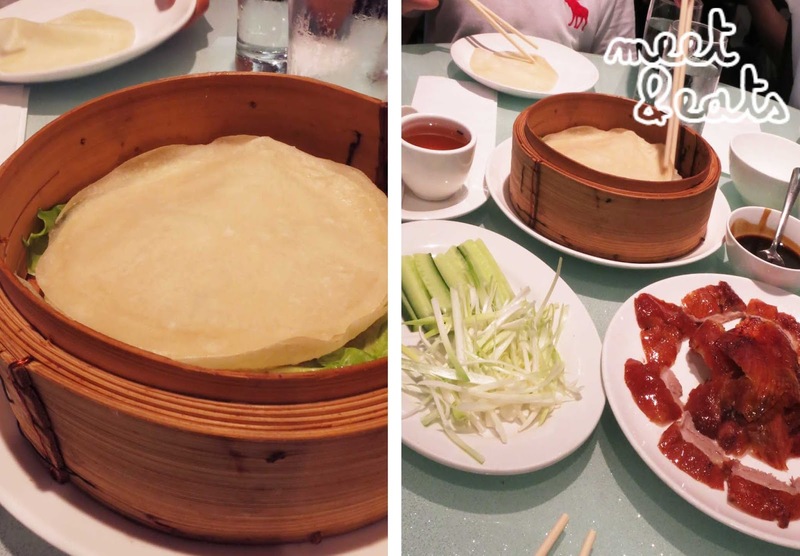 First up, our Peking Duck Set came out, with out Hot & Sour Soup inbetween. Two and a half scoops for each. This was especially loaded with the ‘sour-ness’ of the red vinegar – not hot here, as we skipped the spice since my little brother was dining with us. This was delightful. Had great bites of bean curd, mushroom, tofu and roasted pork for some saltiness! 2. 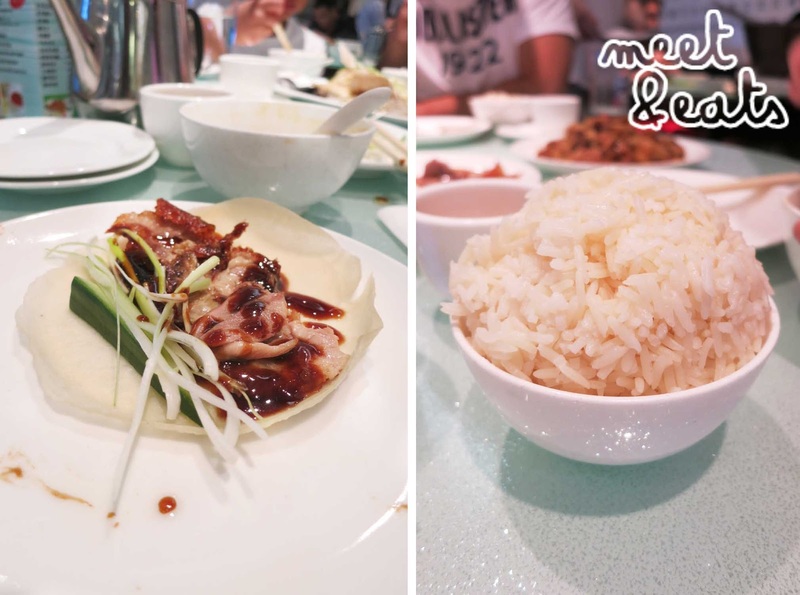 Now on to the Peking Duck set…. Finally all placed on my plate, ready to fold up and eat! It was SO good. Oh my. 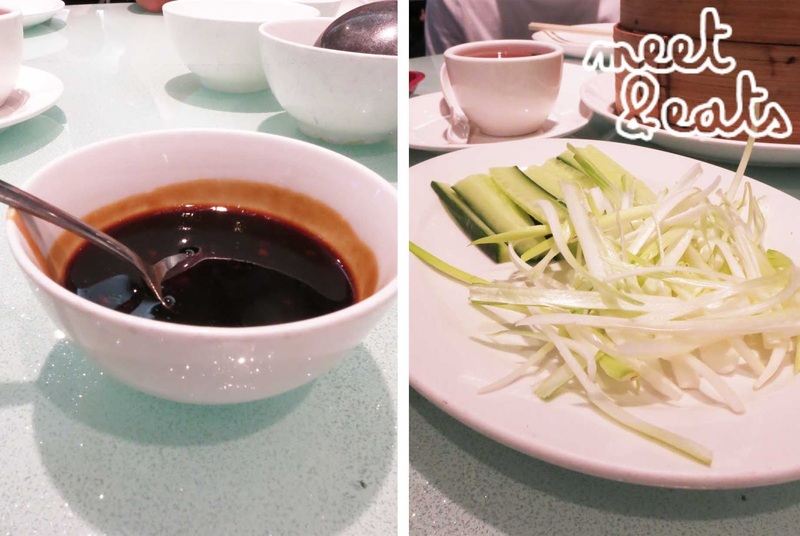 The green onions are perfect along with the sauce, fresh bite of cucumber and perfectly cooked duck. Just how it should be! So the fish soft along with delicious sauce to go. This was such a delicious sauce to mix with my rice! 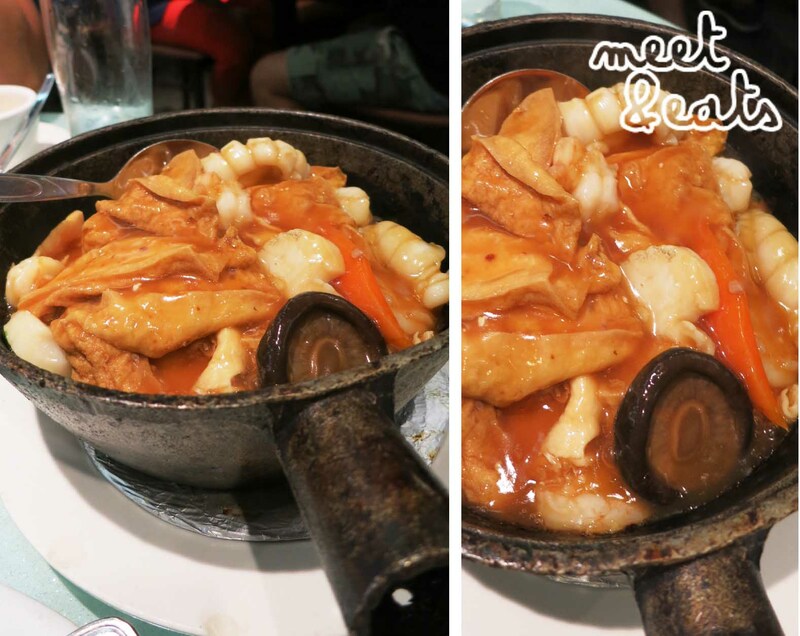 Contained Beancurd, Shiitake Mushrooms, Carrots, Tofu, Scallops, Prawns and Squid! It was delicccious! You do not fail, House of Gourmet! My sister’s favourite – the portion was much bigger than it looks like. We left a few pieces behind. All way too stuffed. 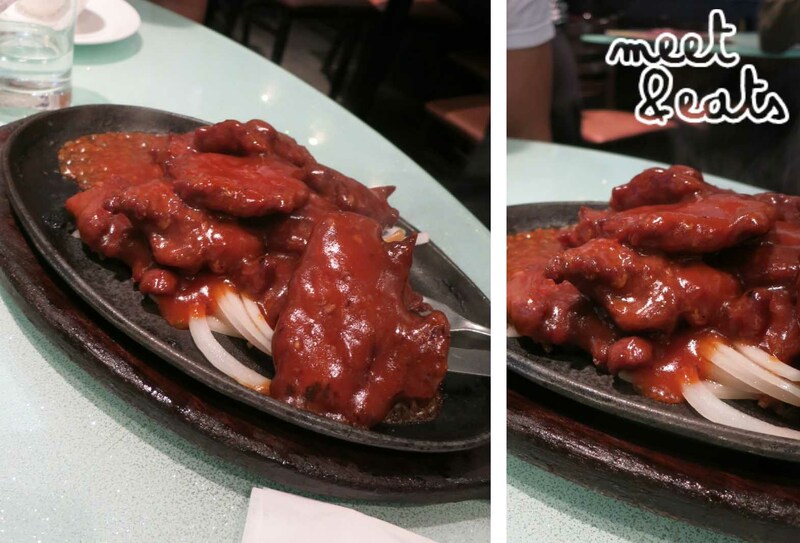 Great just-cooked tenderlion with sweet sauce and sauce-infused onions. Are you serious? This isn’t a menu option????!!! It should be! It was that good. 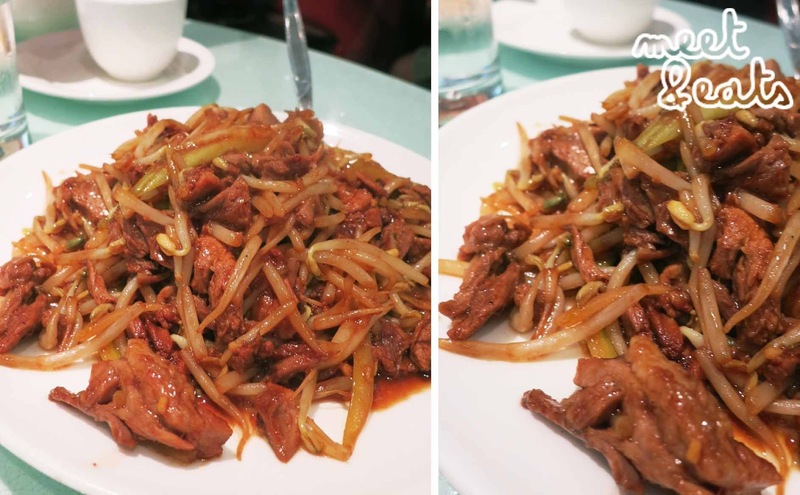 The duck was amazing, how tender it was, and it had an amazing sauce to it along with the crunch from the beansprouts and celery here and there. Only apart of the Peking Duck Set! It was amazing. Refilling my bowl three times! Delicious. Everything was sparkling after. We did good team. It’s not hard to tell that I love this place. Authentic with great value! I love the amount of combos and specials they have – menu, here. You’ll be amazed too.And, I’m pretty sure, with each of my future visits I’ll have an increasing number of dishes I would recommend from this place. It’s just that good. The next step is me trying their sweets now. You're going to try the noodles next time, right? 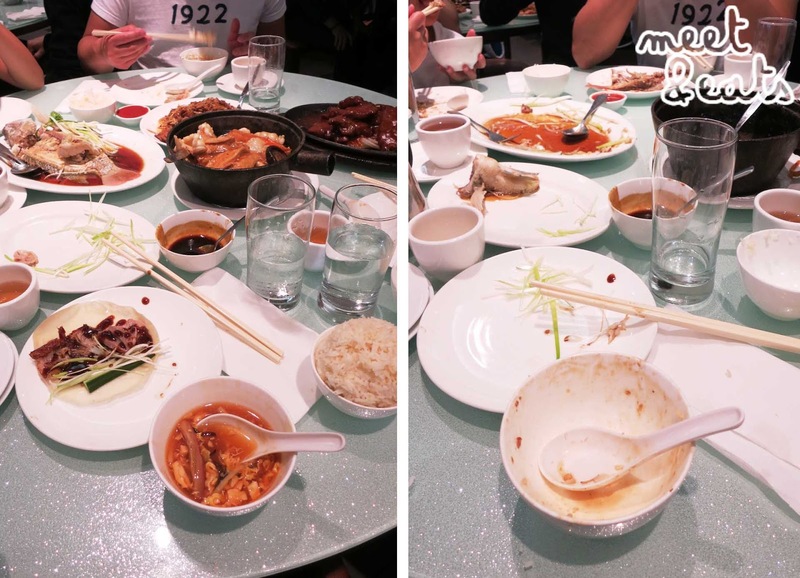 After seeing your pictures – I have to! Great blog! The information you provide is quiet helpful. We import the finest gourmet specialty foods from Online Gourmet Stores around the world, primarily the Middle East, Mediterranean region and Europe.